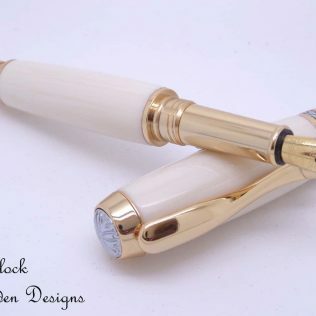 A wooden fountain pen with black trim and gold accents hand turned by me on a lathe in my own UK workshop. 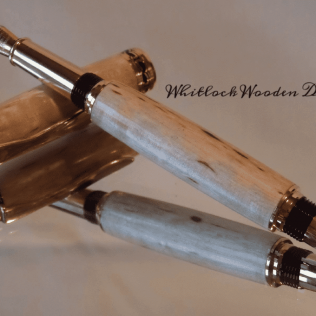 The wood pen barrels have been handcrafted from Pau Rosa. This wood has uses in the perfumery trade because of the oils. The wood is part of the rosewood family and has lots of nice colours and figure. 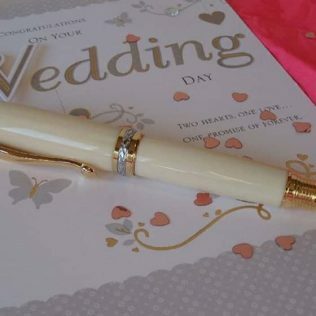 The fountain pen has medium point nib and we give one ink cartridge to get you started writing straight away. The Cambridge style is small but elegant ideal for people with smaller hands. 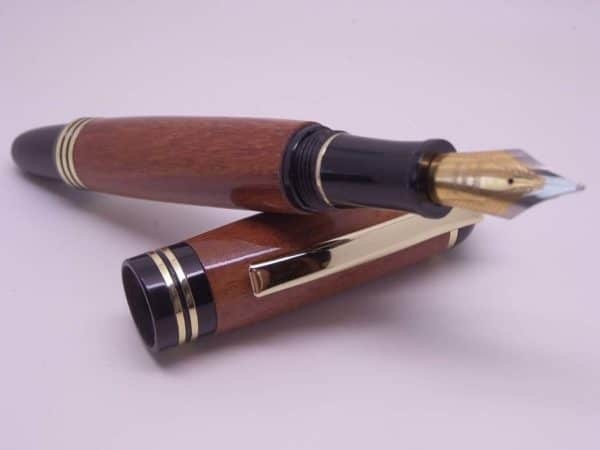 Many people say a fountain pen improves handwriting and are the best fine writing instruments. 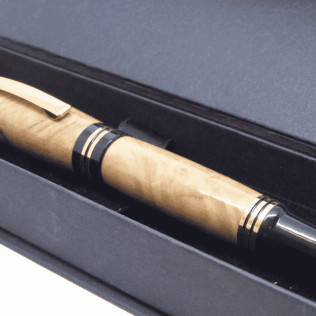 With this wood fountain pen, you will have a beautiful and eye-catching pen perfect for smooth writing. 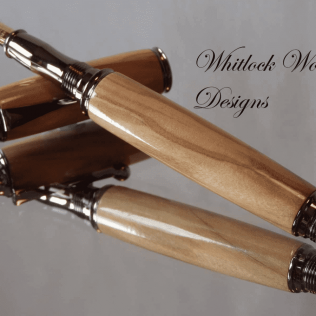 The wooden pen polished with a hard, durable finish to protect the wood from everyday wear and knocks. Every fountain pen gift comes in a presentation box as a standard. 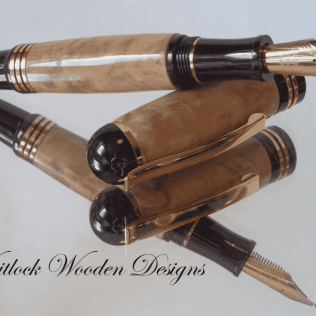 As every piece of wood is different, these pens make unique wooden gifts for Father’s Day or Birthdays.